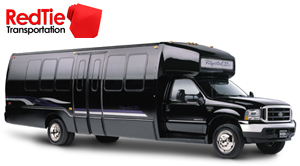 RedTie Transportation is the premier provider of high end Transportation, throughout the nation. We specialize in luxury limousines for all events, wherever the place it might be. Our top of the notch limousine are available to add that extra special touch. If you are seeking something extraordinary in a distinctive occasion, keep in mind we are here to serve with the best.RedTie Transportation has become the premier San Francisco limousine service by supplying their customers with impeccable service, the very best choice of luxury limos from the Bay Area, and the most flexible rates in the business. porting event transportation to SF prom limos, airport shuttle service, or any occasion that you’d like to create extra special, call the luxury ground transportation specialists at Redtie when you want the best. Our San Francisco limo amenities are intended to impress and delight you no matter where we’re taking you. Choose from our carefully chosen fleet of luxury limousines and revel in the exclusive luxury therapy. Our hire service comes with dedicated and professional drivers to keep you constantly on the go, whenever required. Our chauffeurs are professionally trained to maintain your service with friendliness and professionalism. We have been operating for many years, successfully providing a professional service to a lot of clients. While we provide the maximum quality limousine service to be found in the Bay Area, our prices are also among the most aggressive. To and from Airport (SFO, OAK, and SJC) transfers can get stressful at times, especially when you have to worry about traffic, car park expenses, carrying luggage and queuing for a Bus or Taxi. So why not forget about all that next time you travel and let us provide you with a comfortable ride. These moments are what memories are made of. RedTie knows just how special your wedding day is and is honored to be considered as your Wedding Limousine service provider. With attention to the finest details, our goal is to make your wedding day a memorable. Our reservation agents will work side by side with you to ensure all aspects of your reservation are correct & concise. When booking your Bay Area Wedding Limo Our reservation agents will consult with you first and will email you a confirmation with step by step routing. If you prefer to have an in-house consultation, we welcome you to call and schedule an appointment. We will gladly show you our modern fleet of wedding Limousines and sit side by side with you & your fiancée to assist in booking your wedding limo. The only consolidated city-county in California, it encompasses a land area of about 46.9 square miles (121 km2) on the northern end of the San Francisco Peninsula, giving it a density of about 17,179 people per square mile (6,632 people per km2). It is the most densely settled large city (population greater than 200,000) in the state of California and the second-most densely populated major city in the United States after New York City. San Francisco is the fourth most populous city in California and the 14th most populous city in the United States, with a population of 805,235 as of the 2010 Census. The city is also the financial and cultural hub of the larger San Jose-San Francisco-Oakland metropolitan area, with a population of 7.6 million. San Francisco (Spanish for “Saint Francis”) was founded on June 29, 1776, when colonists from Spain established a fort at the Golden Gate and a mission named for St. Francis of Assisi a few miles away. The California Gold Rush of 1849 propelled the city into a period of rapid growth and transforming it into the largest city on the West Coast at the time. After three-quarters of the city were destroyed by the 1906 earthquake and fire, San Francisco was quickly rebuilt, hosting the Panama-Pacific International Exposition nine years later. During World War II, San Francisco was the port of embarkation for service members shipping out to the Pacific Theater. After the war, the confluence of returning servicemen, massive immigration, liberalizing attitudes, and other factors led to the Summer of Love and the gay rights movement, cementing San Francisco as a center of liberal activism in the United States. Today, San Francisco is one of the top tourist destinations in the world and is renowned for its cool summers, fog, steep rolling hills, eclectic mix of architecture, and landmarks including the Golden Gate Bridge, cable cars, the former prison on Alcatraz Island, and its Chinatown district. It is also a primary banking and finance center.